Handsome: I intend to get as far away from this place as possible. Sweetie: Oh, Santa got my letter! Sweetie is 5'1". She has a healthy, slim build. She is left handed, but she holds her wand in her right hand. She has brown hair and blue eyes, and is a little pale. She tends to like golden colored dresses. Introverted: Sweetie does take the time to think through her options before she acts. Socializing with others does tend to drain her, and she has her moments of preferring to be alone. She is quite determined to get good grades, and is very good at focusing on her studies. Intuitive: She tends to trust her instincts when she thinks of what could be. When she feels that something is not as it should be, she usually trusts her instincts and thinks of how things could impact her, rather than just live in the moment. Thinker: Others tend to not see her as a warm person, unless they get to know her and push past her walls. She tends to be honest with her thoughts when the topic feels appropriate for discussion. Flaws of others (and herself) catch her eye easily. Judgers: Working hard is something that does come to her attention, so that she can reach her goals in life. She prefers to not keep things left open, and feels very conflicted when not having closure in parts of her life. Amortentia: Honey's scent, Cupcake's favorite perfume, and ink. Boggart: Herself in dirty and torn clothing, how she imagines herself if she were abandoned and alone in the world. Pets: She has a temperamental cat named Bijoux. 1871: Born as the fourth child, and third daughter, of Louis and Heartwarming Whitledge, she is plagued with the name 'Sweetie', given by her mother. 1873: Sweetie is unaware of, and can't be bothered with, the fact that she gains another sister in the family. 1874: The young Sweetie is annoyed by having so many siblings, and their names, as well as her own. 1876: Sweetie shows signs of magic when Darling annoys her to the point that she accidentally changes her hair a terrible shade of green. She finds this rather hilarious. 1877: The muggles discover magic and the Whitledge family flees to Hogsmeade. Sweetie is angered by the move and refuses to speak for a couple of days. 1879: Handsome proves to not be a squib after all with his first signs of magic. 1881: The twins head to Hogwarts, placed in the house of the brave. 1882: Pumpkin leaves Sweetie to join the twins in Hogwarts, in the house of the wise. Sweetie finds it better than the Gryffindor house, in her opinion. 1883: A Hogwarts acceptance letter is sent for Sweetie, and she is utterly delighted to join her older sisters at school, and doesn't fully mind spending a bit more time with her brother. However, she deeply wishes that she would not be called by the ridiculous name that was placed as a burden on her shoulders by her mother. Instead, she takes a liking to her first middle name, and starts requesting to be called that instead, pointing out that it is a more proper name for a young lady. Sweetie also becomes quite interested the concept of Transfiguration, and joins the club to learn more. 1884: Plague steals papa away from Sweetie and her siblings. Sweetie struggles to cope, and falls into complete silence, which is understandable due to her mourning. She is quite troubled during these times. Not fazed much by loosing their home to fire and moving, it was not as if she had lost any of her other family. Almost a month later, she starts speaking again. Darling later begins Hogwarts on that year, being sorted into Hufflepuff (and it seems that Handsome had been expecting this, perhaps he should have been in divination). 1885: Handsome as prefect, Sweetie not very amused (won't admit she's proud, but it can be caught when she thinks he's not near her). Summer, 1886: Mother is no longer in mourning, and pursues a healing career. Not only feeling abandoned, Sweetie also feels that she has not only lost a father, but a mother as well. Autumn, 1886: Sorting Hat has gone missing, and Sweetie is thrilled with the professors' choice to place Honey into Slytherin, thinking that this would be the Hat's decision as well. However, she feels betrayed by both Honey and Darling when Honey is then sent to the house of their sister, over Sweetie's house. This ends up causing conflict between the sisters, and avoidance, at least on Sweetie's part. June, 1887: Miss Backus comes into the Whitledge home uninvited, as far as Sweetie knows. After confronting Maddie and expressing her concerns with the other girl's intentions with the Whitledge brother, Sweetie feels that the older girl insults her in her own home, and Sweetie insists that the girl leaves. Apparently Handsome hears about this conflict, and Sweetie feels that she is being unfairly treated by him. In her eyes, she did nothing wrong, and was just trying to find out the full truth for her brother's sake, not realizing that Handsome might feel anything besides friendship to Miss Maddie. July, 1887: Mother is gone. Sweetie doesn't talk until speaking with Honey, the tension having desolved into awkward discomfort (both seeming to fear how each feels about the other from their fight). Things between the sisters seem to be getting better. Though she is in mourning, she honestly feels that she had lost her mother a while ago, and the loss is slightly numb to her. Not that she mentions this to anyone. September, 1887: Sweetie is made Transfiguration Club President, which she is quite proud of. It might not be 'Head Girl' or anything, but it is an achievement to her. 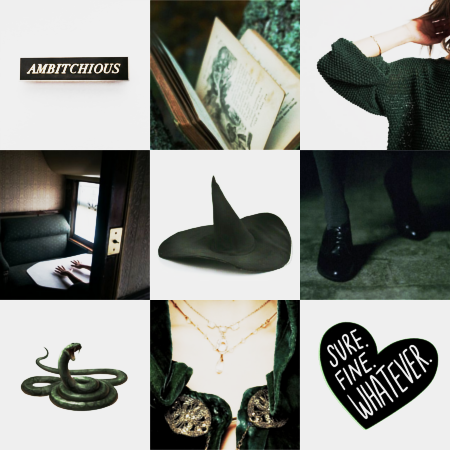 Winter, 1887: Deciding to avoid conflict at home with her brother, and a grandmother that she barely knows and is not very comfortable around, she spends her winter holiday mainly in the Slytherin Common Room, at school. June 23-July 2, 1888: Letters are exchanged between Sweetie and Handsome. What first is an attempt from Sweetie to apologize and request for the same from her brother along with his understanding, soon turns into complete arguing. Handsome's last letter to his sister is for her to move out and live with uncle, with a stern order that she not return. This is the last time that they have heard from one another. September 3, 1888: Sweetie officially starts making plans with her transfiguration professor to begin studies into becoming an animagus. She and her brother have a troubled relationship. She has not returned home to her siblings even with the anti-magic fog lifted. She goes by the more proper name Rachel. Her best friend is the half-vampire, Chrysanta Ruskin. She has been repeatedly harassed by former friends and has been miserable over this. She is noticeably happier living with her uncle, though not enough for it to be inappropriate during a time of mourning. As of September 3, 1888 Sweetie has begun her studies into becoming an animagus, fully aware that this would be a long and difficult process. On July 2, 1888 she was disavowed by her brother through letter and now lives with her uncle, who is still of her family's class and not scandalous. She’s bi, and in complete denial to herself about it. Quote: "So apologize, fix it. Say you were wrong even if you weren't, I do know they like that." Vera certainly looked to hear him admit he was wrong or she was right. Sisters weren't exactly the same, but she was a woman, at least. Where is Sydney when Handsome needs advice for Sweetie?